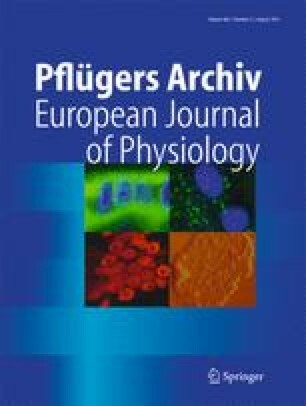 During exercise involving a small muscle mass, peak oxygen uptake is thought to be limited by peripheral factors, such as the degree of oxygen extraction from the blood and/or mitochondrial oxidative capacity. Previously, the maximal activity of the Krebs cycle enzyme oxoglutarate dehydrogenase has been shown to provide a quantitative measure of maximal oxidative metabolism, but it is not known whether the increase in this activity after a period of training reflects the elevation in peak oxygen consumption. Fourteen subjects performed one-legged knee extension exercise for 5–7 weeks, while the other leg remained untrained. Thereafter, the peak oxygen uptake by the quadriceps muscle was determined for both legs, and muscle biopsies were taken for assays of maximal enzyme activities (at 25°C). The peak oxygen uptake was 26% higher in the trained than in the untrained muscle (395 vs. 315 ml min−1 kg−1, respectively; P < 0.01). The maximal activities of the Krebs cycle enzymes in the trained and untrained muscle were as follows: citrate synthase, 22.4 vs. 18.2 μmol min−1 g−1 (23%, P < 0.05); oxoglutarate dehydrogenase, 1.88 vs. 1.54 μmol min−1 g−1 (22%, P < 0.05); and succinate dehydrogenase, 3.88 vs. 3.28 μmol min−1 g−1 (18%, P < 0.05). The difference between the trained and untrained muscles with respect to peak oxygen uptake (80 ml min−1 kg−1) corresponded to a flux through the Krebs cycle of 1.05 μmol min−1 g−1, and the corresponding difference in oxoglutarate dehydrogenase activity (at 38°C) was 0.83 μmol min−1 g−1. These parallel increases suggest that there is no excess mitochondrial capacity during maximal exercise with a small muscle mass. The study was supported by grants from the Danish National Research Foundation and the Swedish National Centre for Research in Sports. The authors have no conflicts of interest.